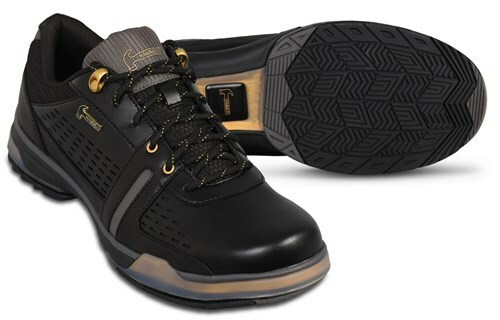 Hammer Boss continues Hammer's high performance shoe line by introducing their symmetric forefoot for left and right handed bowlers. This shoe is loaded with features that were designed to enhance performance as well as comfort. These Hammer shoes have interchangeable soles and heels so you can customize your approach whether you are right handed or left handed. Get your feet in a pair today, and be a boss on the lanes! Due to the time it takes to produce the Hammer Mens Boss Black/Gold Right or Left Hand-ALMOST NEW ball it will ship in 2 bus. days. We cannot ship this ball outside the United States.